Even as the Supreme Court stopped short of holding Delhi BJP President Manoj Tiwari in contempt for openly breaking the lock on a premise sealed by the East Delhi Municipal Corporation for housing an illegal dairy, the bench headed by Justice Madan B. Lokur stated that it is “extremely pained by the machismo and brazen manner in which Tiwari took the law into his own hands”. The court took note of the report of the Monitoring Committee appointed by the court in connection with the Sealing Issue, where it annexed an article from a leading national daily quoting Tiwari as alleging that the Committee is running a sealing racket in connivance with corrupt officers. The said article was published only a day after the October 3 hearing where Tiwari was present in person. Also attached was a document issued by the Media Department of the national political party to which the MP belongs, adverting to his statement. The court deemed his “misplaced bravado” and his “chest thumping” in levelling “serious but frivolous allegations against the Monitoring Committee appointed by this Court” immediately after the hearing on October 3 as a “clear indication of how low (he) can stoop”, writing him off as “a rebel without a cause”. Asserting that “The shoulders of this Court and the Monitoring Committee are broad enough to take criticism in its stride”, and the bench, also comprising Justices Abdul Nazeer and Deepak Gupta, refrained from proceeding against Tiwari for the reckless statement. The court observed that The sealing and de-sealing of the premises had nothing to do with the Monitoring Committee, which was not consulted in the matter and gave no directions, and that The sealing was an independent act carried out by the Veterinary Services Department of the EDMC. However, the court chose to leave it to the better judgment of the relevant political party to take action against Shri Manoj Tiwari, if so advised. 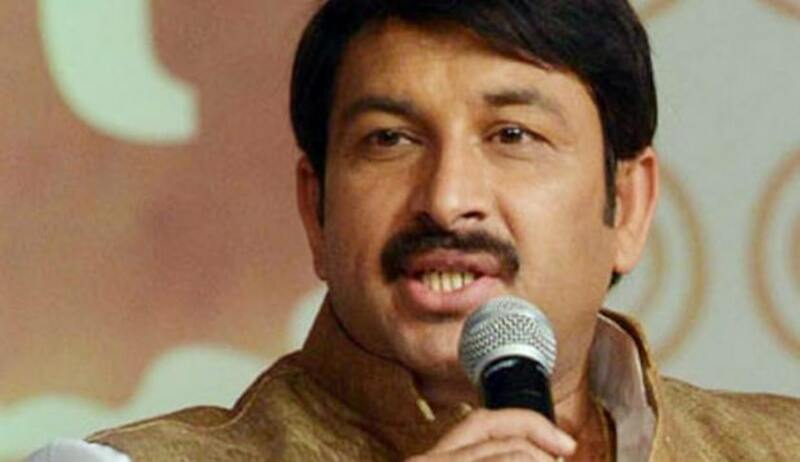 The Supreme Court had on September 19 issued contempt notice against Delhi BJP President Manoj Tiwari for openly defying the court-appointed monitoring committee on sealing by breaking the lock of a house sealed by East Delhi Municipal Corporation. The property in question had been sealed by the EDMC for allegedly running an illegal dairy from the premises. An angry bench of Justices Madan B. Lokur, Deepak Gupta and Abdul Nazeer had asked Tiwari to be personally present in the court and explain his act. The order came after the Monitoring Committee filed a complaint in the court. The Delhi Police has lodged an FIR against Tiwari in connection with the incident under Section 188 of the IPC and relevant provisions of the Delhi Municipal Corporation Act. “If you had any problem you could have approached the court but you had no authority to take the law into your hands”, the bench had pulled up Tiwari on September 25, when he appeared in person along with Advocate, Senior Counsel Vikas Singh. Tiwari had been directed to file an affidavit in three days not only explaining his act but also giving proof pertaining his statement to a TV channel that there are 1000 other illegal properties in the area which was not sealed but “this particular” property was being selectively targeted. “You don’t worry, leave it to us. In the affidavit, you list the 1000 properties. You go and seal it. We will make you a sealing officer”, Justice Lokur had said. On October 1, Tiwari had told the Court that he had broken the seal of premises here as a “symbolic protest” against the illegal action of officials of the East Delhi Municipal Corporation (EDMC) and was willing to accept the role of ‘sealing officer’ as suggested by the bench. He had also referred to the National Capital Territory of Delhi Laws (Special Provisions) Act 2011, and said that this law extends the protection to unauthorised colonies across the city from sealing and demolition action; that the monitoring committee was set up by the apex court to oversee implementation of orders of the court but it was never the scope of the panel to take actions, in unauthorised colonies since they are protected under the 2011 Act. He had claimed that the EDMC has dragged the monitoring committee in the matter with a sole intention to gather “media glare and publicise” the whole issue. “Since no explanation was coming forth from the authorities, the mob which had gathered there, were turning violent against the illegal sealing action. Hence as the representative of the area, the deponent (Tiwari) was forced to take some affirmative protest action against the illegal sealing in order to control the agitated mob,” he said. Otherwise there would have been many untoward incidents. Hence, in order to control the mob and to prevent the law and order situation, the deponent (Tiwari) was forced to do symbolic affirmative protest action against the illegal sealing action done by the EDMC officials”, he said. Accusing the authorities for adopting ‘pick and choose’ method, the MP has questioned as to why no actions have been taken in areas like Okhla, Jamia, Shahin Bagh, Noor Nagar, Johari Farms having five to seven storeyed buildings.